Conserving power in Ontario: who’s really saving? My recent article about “conservation” provided some detail on the presumed consumption of electricity in 2013 by the 4.6 million residential ratepayers in the province. The estimate was that this rate class consumed 45.5 terawatts (TWh) or 32.3% of total Ontario demand, which IESO reported was 140.7 TWH. While that is an estimate it at least can be compared to estimates from previous years as in the Yearbook of Electricity Distributors on the Ontario Energy Board’s (OEB) website back to 2005. All the other data on the Yearbook site is grouped by “consumption” i.e., “General Service: 50 kWh to 4,999 kWh per month, Large: over 5,000 kWh per month”. Presumably all the government entities from Ministries to Crown Corporations are included in those two groups, so comparing the success or failure of the public sector versus the private sector on “conservation” is impossible. I set about trying to determine what each sector consumed recognizing the principal ones were: large industrial clients (referred to as Class A ratepayers), small and mid-sized commercial enterprises (manufacturers, food processors, retail outlets, service companies, etc. ), Municipalities, Universities (and colleges), Schools and Hospitals (referred to as the MUSH group), large government crown corps, (OPG, Hydro One, LCBO, OLG, IO, etc. ), the Ministry of Justice (court houses, etc. ), the OPP and the Ministry offices of Public Health, Transportation (GO Transit, Metrolinx, etc. ), Environment, Natural Resources, etc. The objective was to determine how effective those groups have been at “conservation” compared to the 4.6 residential ratepayers, but finding information on them proved a hopeless endeavour. The information is scattered. For example, a report in January 2008 prepared for IESO indicated “Municipalities” consumed 6.6 TWh or 4.3% of Ontario’s consumption, but no other data is available to determine current or past consumption. Likewise, data is missing for all of the other sectors except for the occasional snippet! For example, a testimonial on OPA’s saveonenergy website claims Bradford High School reduced consumption by 84,000 kWh (19% of annual usage) through a lighting retrofit, meaning they consumed about 450 MWh. If one extrapolates the Bradford example to the reported 913 secondary schools in Ontario this group consumed 4.1 TWh but again there is no way to measure that against prior consumption or to determine whether the estimate is even close to actual consumption. No information on electricity usage in the 3,978 elementary schools could be found. As for universities, a 17-page report entitled Ontario Universities: Going Greener Report 2011, authored by the Council of Ontario Universities, is a disgrace to higher learning and would be marked by every professor as a fail! For example, contracting with Bullfrog Power by some universities is seen as a “conservation” initiative. The search failed to turn up any meaningful data on electricity consumption by hospitals, the OPP, the Ministry of Justice or the big Crown Corporations. Perhaps the OEB should enlist those “smart meters” and the “smart grid” to generate data that show the public how well government entities are doing on their “conservation” targets. In desperation, I felt a read of the December 5, 2013 OEB’s Conservation and Demand Management Report-2012 Results might provide answers, but that turned out to be a rehash of CDM reports submitted by the 73 local distribution companies who either brag about exceeding conservation targets or make excuses for why they missed them. It does have claims about Annual Savings such as 2012 “Net Peak Demand Savings” (KW) which totaled 253,086 KW. It also has a section on “2012 CDM Spending” ($136,211,152) so you can determine the cost of saving a KW of capacity by category. One example is the “Industrial Program” which produced Net Peak Demand Savings of 75,144 KW at a cost of $10,726,749. Cost per peak KW saved was $142.75 ($10,726,749/75,144KW = $142.75). To put that savings per KW in perspective, the U.S. EIA on a chart claims the full capital cost of a KW of on-shore wind capacity is $2,213/KW so the money spent per KW on the “Industrial Program” is equal to the wind turbine operating for 16 years reputedly providing a 16:1 payback. If discounted for how many kWh wind produced at the wrong time of the day/year (80%) at 29% of capacity, however, that ratio would reduce to less than a 1:1 ratio. Another example is the Business Program: spending was $89 million to save 98,217 KW of Net Peak Demand Savings at a cost of $907.43/KW. This is a much higher cost to us ratepayers; it is equivalent to the full capital costs per KW to erect a combined cycle gas plant which would produce power for a minimum of two decades. That ratio would prove to be about 1:1/20th or, for every dollar spent on conservation, the capital cost savings would be a nickel! The worst example however is related to the Home Assistance Program which cost $6,963.15/KW—more than it would cost to build a nuclear plant ($5,530/KW) that would operate for up to 60 years at an all-in annual cost of $93.28/KW, producing about 8,000 kWh (just over a penny per kWh) every year for those 60 years. Didn’t Energy Minister Bob Chiarelli and others like Environmental Defence tell us “Conservation provides significant economic and environmental benefits; for every $1 invested in energy efficiency, Ontario has avoided about $2 in costs to the electricity system.” If they were actually spending the money on “energy efficiency” instead of schemes that avoid a cost/benefit equation, I might be sold but they’re not. Instead the bureaucracy simply throws money at every hair-brained idea crossing their path. Time for Minister Chiarelli to take a refresher math course and for the Auditor General to have a serious look at our “Conservation” spending, which is scheduled to cost us $483 million in 2014 alone, and has cost Ontario’s ratepayers in excess of $4 billion since 2004. The Ontario government published a news release today in which it claimed it is helping communities “restore” the environment, and also that complaints to its “Spills Line” are being responded to and resolved. This is a cruel joke for those Ontario communities watching the destruction of the landscape, the altering of waterways and killing of wildlife for the sake of highly invasive wind power generation facilities. Ontario residents are told that if they have a concern about excessive noise they are to call the Ministry of the Environment Spills Line. Those who do, are less than satisfied with the response. The reports from the community on the noise from turbines is NOT included in the Ministry’s annual report on calls made to the Spills Line. There is no transparency or accountability—this has been made clear in various Environmental Review Tribunals, where Environment staff have actually testified that if the computer modelling supplied by the power developer says it “isn’t possible” for a turbine to make noise above a certain level, then they don’t even check the complaint. Worse, the legislation has been written in such a way that noise complaints will never result in government action. Ontario is using penalties collected from environmental violations to fund 12 community projects to restore and protect the environment. Projects include restoring river banks by planting native trees and plants, protecting ecosystems from invasive species and undertaking environmental health assessments. 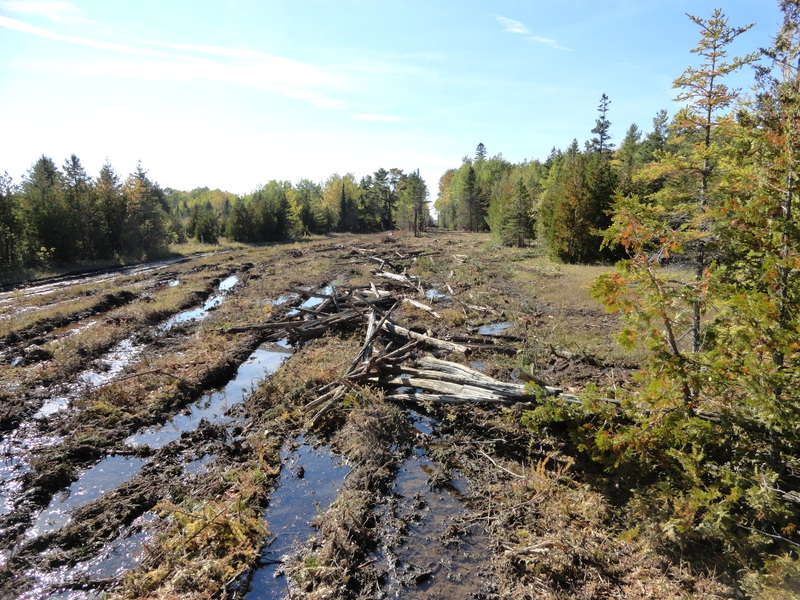 The Ontario Community Environment Fund supports environmental improvement projects in the watershed where a violation happened. Environmental penalties are issued to industries that have spilled a contaminant into the environment or that did not comply with regulatory requirements. Protecting our watersheds is good for the environment and good for the economy and is a key part of the government’s economic plan to invest in people, create jobs, build modern infrastructure and support a dynamic and innovative business climate. Applications are now being accepted for the next round of Ontario Community Environment Fund grants. Applications for funding will be accepted until November 5, 2014. In 2013, $113,781.20 was collected and added to the Ontario Community Environment Fund. Eligible groups can apply for more than $161,208 available across 15 communities where penalties were collected. Reports may be filed with the Ill Wind Reporting website here. The heading on Cold Air energy blogger Scott Luft‘s article read: “September 20th: Ontario electricity’s cleanest day in my lifetime.” He was talking about the fact that emissions from the electricity sector in Ontario produced almost no emissions last Saturday. Why? Low demand meant clean nuclear, clean hydro and clean wind produced more than enough power to satisfy the 13,593 MW average Ontario demand for electricity, as reported by IESO in their Daily Market Summary. Here are the details: on September 20th, nuclear produced about 270,000 MWh, hydro 82,000 MWh and wind over 40,000 MWh. Taken together, they produced about 81,000 excess MWh of power which Ontario simply exported. Ontario was also busy steaming off Bruce nuclear power, and probably spilling hydro and paying those gas plants for sitting idle. It’s obvious Ontario didn’t need that 40,000 MW of wind but with the “first to the grid” rights of wind and solar, IESO was obliged to accept it. As it turned out the hourly Ontario electricity price or HOEP performed badly on September 20th and averaged .82 cents per MWh or .00082 cents per kWh. So, Ontario’s ratepayers were paying wind generators $135.00 per MWh while IESO were busy selling it off to our neighbours in NY and Michigan for .82 cents meaning (without counting in the steamed-off Bruce nuclear, the gas plants $500 per MW of capacity for idling, non-utility generators or NUG-contracted utilities for curtailment, solar generators, etc.) we were losing $134.18 for every MWh of power that those wind turbines produced. What that means to you is, the 81,000 MWh we sold to our neighbours cost each of Ontario’s 4.5 million ratepayers as our Energy Minister, Bob Chiarelli, might say, a large “Timmies” coffee and a donut! Please don’t stop your conservation efforts, however, as the Ontario Liberal government would like us to do this more often! Ontario: truly a great neighbour! Note: Neither Wind Concerns Ontario nor author Parker Gallant is opposed to conservation in power use—it would just be nice if Ontario had an electricity policy that made sense and provided affordable, reliable power for all. If 90.2% of your customers were purchasing only 32.3% of your product, your marketing department would be working overtime to come up with ways to entice those customers to purchase more, right? If you are a monopoly operating in the electricity sector in the Province of Ontario you wouldn’t do that, because your boss doesn’t want that to happen. Instead, he’s telling you to get customers to buy less. The 2013 Yearbook of Electricity Distributors has data that allows you to calculate total consumption of the residential sector using the “standards” applied by the Ontario Energy Board on usage by the 4,460,593 residential customers. They represent 90.2% of the 2013 total customers of all local distribution companies (LDC) in the province. The standards that the OEB use for Hydro One is 1,000 kilowatts (kWh) per month and 800 kWh/month for all the other LDCs, when they apply for a rate increase. Using that “standard” and applying it to the breakdown of the residential customers it is easy to determine that consumption was about 45.5 terawatts (TWh) in 2013. Accept that total Ontario consumption was 140.7 TWh as reported by the IESO (Independent Electricity System Operator) in their January 8, 2014 press release, then 45.5 TWh represents 32.3% of total Ontario consumption. Looking at the Yearbook from 2005, it’s obvious that the average monthly consumption by all customers dropped 11.2% in eight years—that’s just shy of 5 million megawatt hours (MWh) or, using the 800 kWh OEB standard, enough to power 517,000 “average” homes. The problem with Minister Chiarelli’s premise is that for families to save money they would need to reduce consumption by more than the price increases per kWh that we have seen and will continue to see, due to the renewable energy agenda and the Green Energy Act. For example, in 2005 the all-in cost for power and distribution, including the debt retirement and regulatory charge, for Hydro One was 10.5 cents/kWh; for 2013 the all-in cost together with the HST was 19.9 cents/kWh. That’s an increase of almost 90% in eight years. If families decreased their average consumption by less than 11% annually they are paying more. And, the 1,000 kWh/month standard used by the OEB would need to have been reduced to 527 kWh/month in order to be paying the same monthly bill to Hydro One in 2013 as was paid in 2005. So in Ontario “saving energy” doesn’t mean you will actually “save money” unless you move to a cave or disconnect from the grid! What’s interesting is that the schemes concocted by our government to get us to conserve are often weird and include social engineering strategies (any act that influences a person to take an action that may or may not be in their best interest). The three LDCs call it “social benchmarking”! Wow, Air Miles, other rewards and $10,000 for schools because their students will be taught to “shame” their parents for using electricity. Ordinary residential ratepayers are financing these “social engineering” schemes in the pilot projects via their monthly electricity bills. The cost of the pilots is not disclosed but comes from the Ontario Power Authority’s “Conservation Fund” which is charged to ratepayers via the electricity time-of-use billings. The 2012 Conservation and Demand Management Reports for 2012 filed with the OEB for these three utilities carried no information on the success or failure of the initiatives. Toronto Hydro engaged in a nine-month program in 2011, estimated to cost $495,000. Privacy was on the agenda at the OEB’s Smart Grid Advisory Committee meeting July 16, 2013, which is the other alarming issue associated with these pilots. Has the Privacy Commissioner blessed this social benchmarking concept that will place your neighbour’s power use data in your hands? Just another example of “transparency” in the Kathleen Wynne government. PS: Stay tuned for more on the “conservation” vision. Give Energy Minister, Bob Chiarelli a nice pie (chart) and he will be happy. He gave his blessing to the proposed OPA Business Plan to spend $4.2 billion ratepayer dollars—all nicely pictured in a pie chart that doesn’t include spending $483 million on “conservation” initiatives. The plan was submitted Friday January 24, 2014 and was approved by Chiarelli on Tuesday, January 29, 2012. Guess he worked over the weekend studying the chart? Figure 2 (the chart) in the Plan provides a breakdown of planned 2014 electricity spending on those “generation charges of $4,242 million” plus another chart laying out the $483 million to be spent on conservation. OPA Business Plan Figure 2. Green is for clean-23% ($975.6 million); Blue is for Renewable-32% ($1,357.4 million) and puce is for nuclear-45% (1,909 million)! The Chart as noted represents $4,242 million ratepayer dollars to be spent in 2014. The chart from the 2014−2016 OPA Business Plan was filed with the OEB, as file number EB-2013-0326. The OPA’s budget for their operational expenditures ($60.3 million) was also included in the submission and approved by the OEB December 19, 2013. The 40-page submission uses buzz words rather than actual economic analysis or a cost-benefit study. For example, you will find “partner” or partnership and partners 57 times, “initiatives” 55 times, “ensure” 22 times, “cost-effective” 20 times, “communication” 24 times, and “solution” 21 times. The last of 12 listed as “most significant initiatives” is this: “continuing efforts to further reduce expenses and the cost impact of operations on electricity consumers.” So “cost impact” on electricity consumers is at the bottom of the heap. Not likely to change with the Liberal majority government. You also find the OPA’s “Vision” statement in the Plan which is: “Leading Ontario in the development of North America’s most reliable, cost-effective and sustainable electricity system.” The vision is certainly leading Ontario, but in the direction of being the most expensive electricity system in North America. We just need to pass California and New York City and we will have achieved the goal! What? They are now going to shame Ontario electricity customers by applying the “trained seal” approach and presumably award “pay-for-performance” to those who train us? Set communities against one another? The OPA commits to spending $4.7 billion ratepayer dollars and gets the blessing of the Minister without a single question! Life is good when Chiarelli is your boss and there are 4.5 million ratepayers to pick up the tab. What’s a few trucks? And trees that don’t grow back for 40 years? It’s GREEN! The September 10, 2014 press release from the Ontario didn’t quite put it the way this headline does, but if you look behind the PR slogan, “A New Era of Cleaner Air in Ontario” it is obvious! The conversion of the Atikokan coal plant to biomass was complete, went the news story, but the real news is, it will cost us ratepayers a lot and will not save the planet. Why? It is going to emit lots of carbon when it actually runs and produces some electricity. For background a visit to Renewable Energy World and an article about the conversion process a year ago tells a lot about the project. The article tells you how much the anticipated percentage of production will be, compared to its 200 MW capacity (10% to 12%), the tonnes of wood pellets to be stored (10,000), annual purchase of pellets (90,000 tonnes; one of the chosen suppliers has a contract to supply DRAX with 400,000 tonnes of pellets annually from their Wawa facility), thermal efficiency (close to coal in the mid 30s), the conversion cost ($170 million), and the term of its power purchase agreement (PPA) with the OPA (10 years) with the added information that the latter covers both the conversion and fuel costs (one assumes that it will also cover the costs of operations, maintenance and administration [OMA] of the 70 permanent workers). In order to calculate how the Atikokan plant will burden ratepayers to produce 1 kilowatt of power, we need to make some basic assumptions in respect to the calculations, but the following are on the conservative side. At 10% capacity the plant will use 38,000 tonnes of wood pellets annually at a cost of $200 per tonne meaning annual costs of 38,000 X $200 = $7.6 million. The conversion costs of $170 million will be amortized over the 10 years of the OPA contract meaning (on a straight line basis) an annualized cost of $17 million. The cost of the 70 employees will average $100K per annum (all-in with pension and benefits) calculated as 70 X $100,000 = $7 million. The foregoing represents total annual costs of $34,600,000 to produce 175,200 MWh creating a cost per MWh of $197.49 per MWh or 19.7 cents per kWh (kilowatt hour). The math is simply the total cost of $34,600,000/175,200 = $197.39. There’s more: pellet delivery will require 10 trucks per day within a 200 kilometer radius, five days per week, to bring those 90,000 tonnes to the converted plant. One of those plants is located in Thunder Bay a distance just under the 200 kilometer radius. How is that going to produce “Cleaner Air in Ontario” as suggested by Energy Minister Bob Chiarelli? The other distorted fact about biomass is that 2.5 tonnes of wood is required to produce 1 tonne of pellets and requires considerable energy to both grind and produce the pellets. They also are less efficient (lower efficiency ratings than all fossil fuels) and produce more CO2 than bituminous coal. The reason biomass is regarded as “renewable” is that the trees cut to produce the pellets (or wood chips) may eventually grow back—it just takes 40 years or so! So, what’s the real news story? Our Ontario Liberal government has caused OPG to plunge into further debt, increased our electricity bills and created more emissions than we had before the conversion. The truth is there behind the doublespeak about cleaner air. The opinions expressed are those of the author. As if they haven’t done enough. This notice appeared in a local paper this week.